Never, ever throw away bread! You know that green furry stuff you sometimes get on it? It simply ADDS to the flavour! Just kidding, I’m not as frugal as your Nan. You will have to get to your bread before the mould attacks but even if your bread is CRUNCHY stale these little tricks and recipes will make it yum again! 1- Sprinkle some water on to old stale buns and rolls, say a teaspoon per roll, and stick in a warm oven for five minutes, They will be AS NEW. 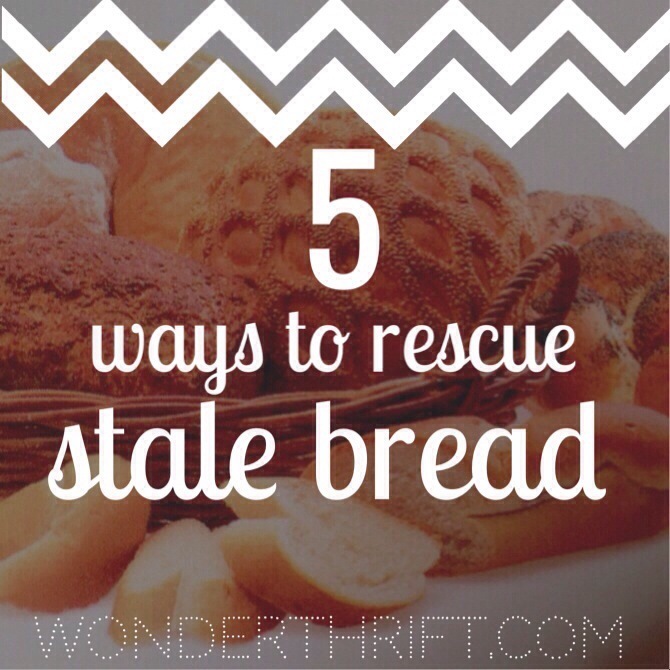 2- Chop all your stale bread up and then whiz it in the blender into bread crumbs. These you can use in any recipe that calls for breadcrumbs or you can put into packets and stick in the freezer for when you need them. 3- Croutons are my FAVOURITE way to use up stale bread. We never throw bread away primarily due to croutons. Chop any bread you have into small cubes and then chuck in three tablespoons of hot oil in a frying pan. Keep them moving and in 7 minutes you will have perfect croutons. Fry them with herbs or garlic if you have guests and want to be a bit flash! 4- Go even flasher by whipping up CROSTINIS with your stale bread! Slice rolls or baguettes 1 cm thick diagonally, brush with olive oil and sprinkle on some Parmesan. Grill or bake until lightly browned. 5- The most kiwi way to use up stale bread is with MOUSE TRAPS! Spread a tiny bit of butter on one side of a slice of bread, turn over and spread a tiny bit of marmite on the top side. Sprinkle with cheese and place, cheese side up, in the oven and bake for 30 minutes. These will turn out crunchy and scrumptious and will last in an air tight container for up to TWO GLORIOUS WEEKS!